Rainbow King Slot Machines - UK ✓Play Now for Free or Real Money! The Rainbow King is a classic looking pokie coming from the Novomatic game producer. It has a 5x3 greed with 20 pay lines. While spinning the wheel of fortune a gamer can find playing cards from 10 to A, gold signs and many special games. It’s a rainbow-themed casino machine with lots of winning chances. To start betting in Rainbow King slots, bettors need to click on the “Spin” mark. This is a manual way of spinning but for more comfortable gaming, the Novomatic developer provided the “Autoplay” function. This option can be activated by holding the spin icon. In the main menu, bet parameters can be set. The minimum stake per line is 1 and the maximum value that can be adjusted is 500. This will change the total stake amount for a single spin. Bets can also be changed automatically by pressing the “Bet Max” button, to the highest value. After a gambler sets the playing table, he/she can play with ease. Beside many basic symbols, bettors can find a wild card and 3 types of special signs. The wild card can substitute any icon except for those 3 scatter symbols. Cash Castle – this is a special feature that can be triggered if 3 or more castle icons are gathered. To get the cash prize, a player needs to pick a castle. Prizes that can be won are between 2 and 500 times the total stake amount. Rainbow King – when 3 or more of King cards are collected, the Rainbow King special bonus feature can be played. When this is done, bettors will see a special board. Throw the dice to go across the table to get many different prizes. This bonus will end when a gambler gets the “Take the Money” field. The board layout will not be the same every time. It depends on the number of Rainbow King icons that triggered the round. King Cash – this free bonus level can be activated when a gambler collects 3 or more King Cash scatter symbols. These extra cards can show up only on reels 2, 3 and 4. The goal is to pick a crown to reveal prizes. 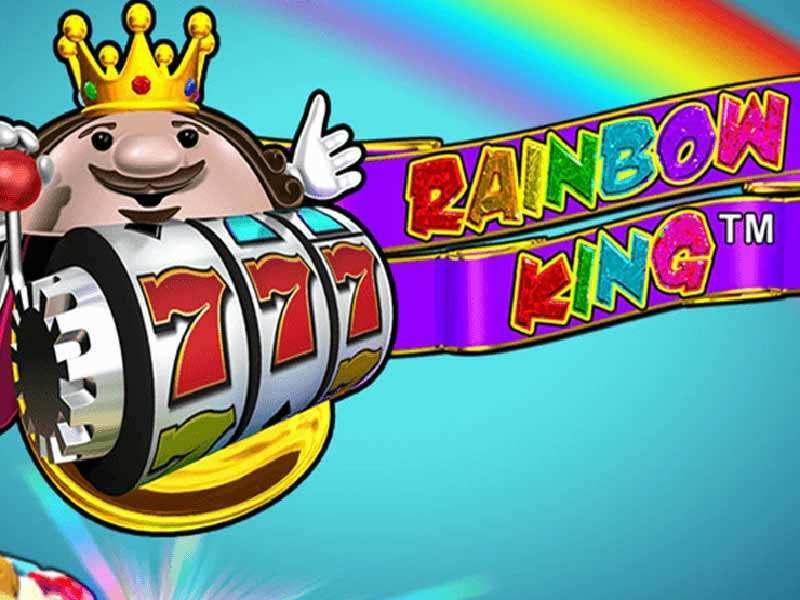 To score big in the Rainbow King Online pokie, bettors need to set the stakes to the maximum. This is a very important task because only this way some of the biggest rewards can be claimed. The best and the easiest way to score is to trigger one of the 3 offered bonus features. This game has a fair system infused in it, so the outcome will be determined totally randomly. This means that real cash jackpot rewards can be won every time by any player from the UK and any other country. All gamers who want to play free Rainbow King casino slot machine can do it in two different modes with no download required. The first one is a free online version available for any gambler. The second version is a real money type, for bettors above 18 years old. 0 responses to "Rainbow King Slot"